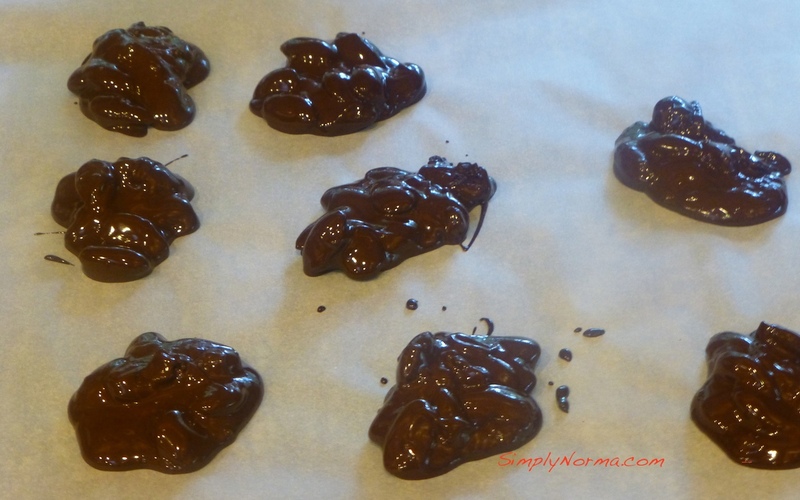 While visiting a friend recently, she made what appeared to be chocolate turtles. Have you ever had them? They’re not “real” turtles but a mix of caramel, chocolate and pecans. However, the ones my friend made had no caramel — only bittersweet chocolate and almonds. 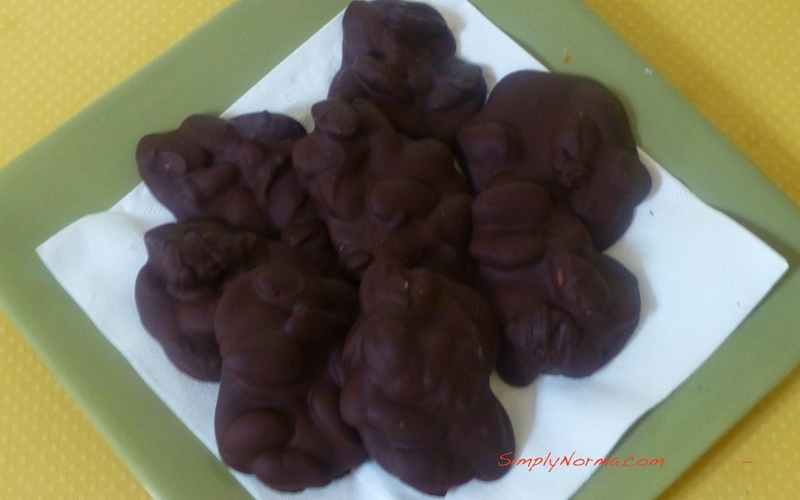 In talking with her, I’ve come up with a recipe for the homemade chocolate almond candy she made. I have to warn you — this is not a Paleo recipe as most Paleo-ites try to have no more than 85% cacao in their chocolate if they have chocolate at all. The one I used, which is from Trader Joe’s, has 72% cacao. Still — I wanted to try it and it came out fine although the chocolate was a little soft after 3-4 hours. My friend told me they can take hours to harden depending on the weather and where you put them to cool. I forgot to ask her if they could be refrigerated to speed up the process. I’m guessing the answer would be yes. Any type of nuts can be used but I chose whole almonds that I toasted in the oven. My friend has made this candy with hazelnuts also and they taste just as delicious. 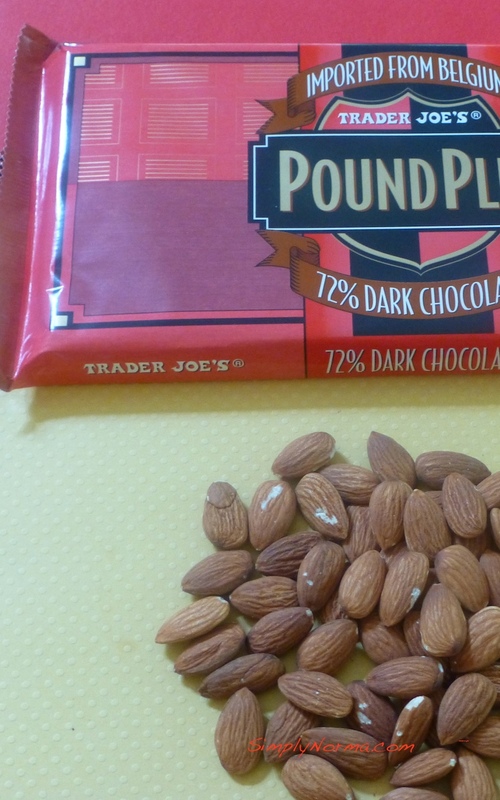 All you need are two ingredients … your dark chocolate and a nut of some kind. 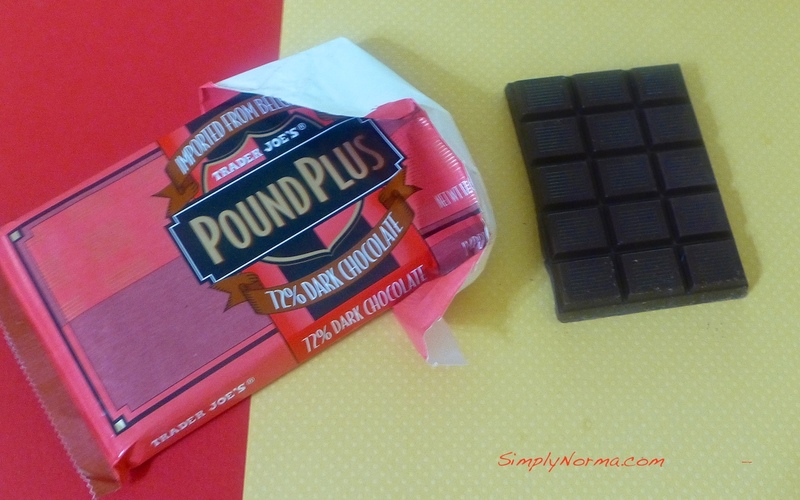 I didn’t use a whole pound of chocolate. Temperance, temperance. Anyway — here’s what I did and it came out beautifully. They can be addicting so I wouldn’t make them very often. 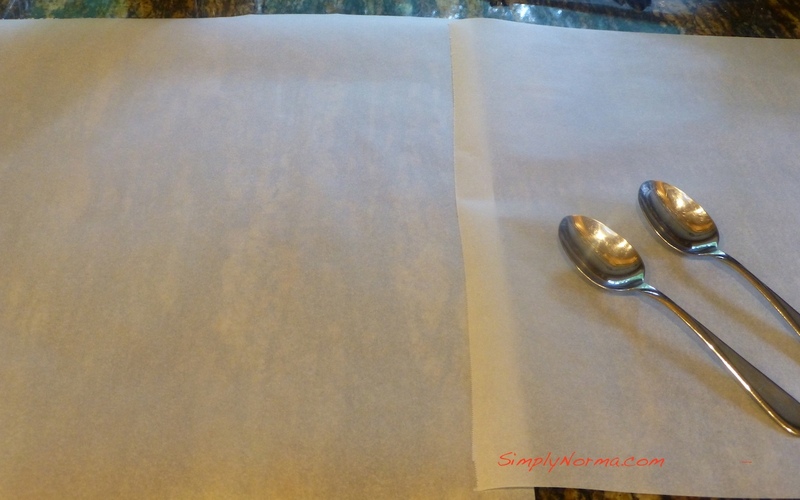 1) Put a large sheet of parchment paper and two spoons off to the side so you can have them ready to put your candy on. The size of the spoons will be determined by how large you want your candy pieces. The larger the spoons the larger the candy pieces. 2) Toast 3/4 – 1 cup of almonds (or other nut) in the oven at 250 degrees fahrenheit for approximately 10-15 minutes. Keep an eye on it so you don’t burn them — you want them slightly toasted so they’ll be crunchy. Remove them from the oven when done and set them aside. 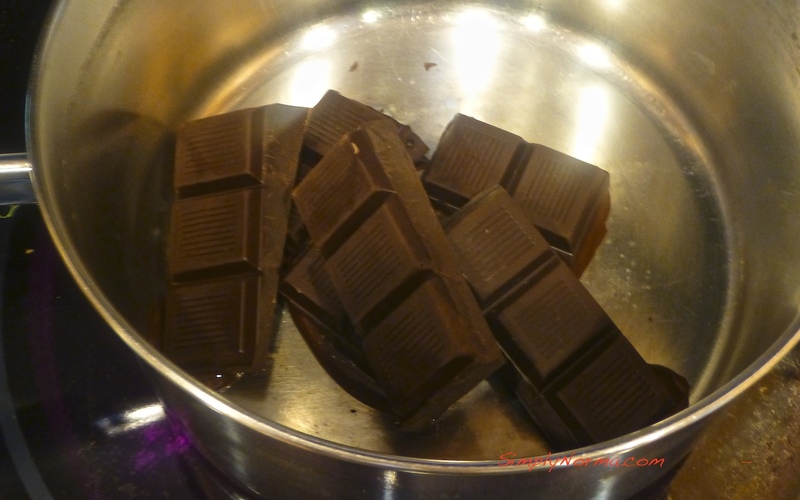 3) From a one (1) pound bar of dark chocolate, remove 15 squares. 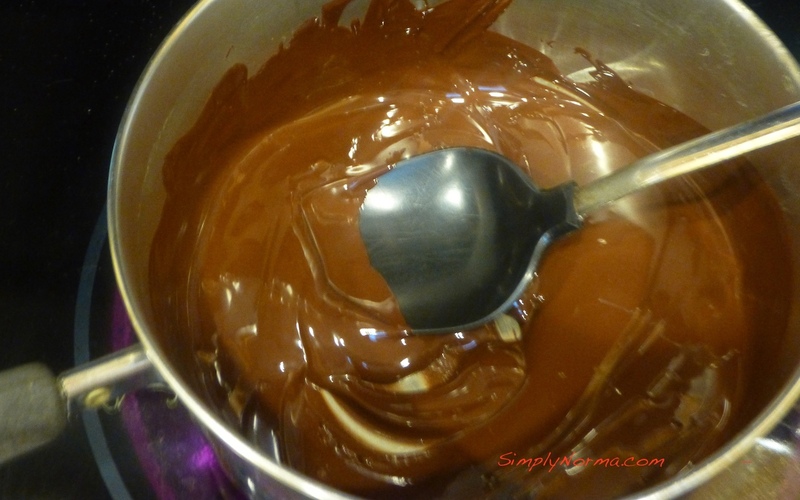 4) Put the chocolate in a medium saucepan and heat through on low heat until the chocolate is melted. 5) Once the chocolate is melted, add the nuts and stir until the chocolate and nuts are well combined. Turn the heat off. 7) Set the parchment paper with the chocolate on it in a cool place for 4-8 hours until they harden. 8) Once hardened, put them in a storage container for enjoyment as you wish.